As promised, here is part 2 of the baby fever series. It’s for boys again but this time it’s twins. As I said in my previous post (if you haven’t read it yet, you can read it here), there was somewhat of a baby boom this past year and a half, all connected to really good and close friends of mine and of course, I wanted to make something for them all. 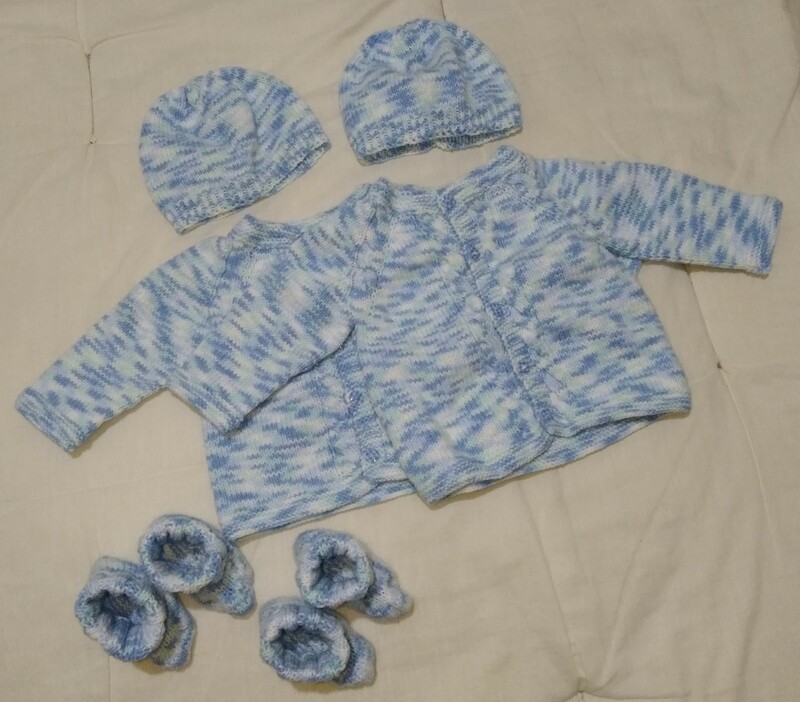 Let’s face it, baby items are cute and if they’re hand-made, even cuter! This time I opted for a cardigan pattern I’d already used in the first baby set I made (read about it here) but with a little variation; I used the cable design and the plainer garter knit edges. I love this pattern to be honest. The cardigans knit from top down in a raglan pattern and I really do love the seamless finish it produces. You can find the pattern here. It’s also free of charge for download. For the wool I used the Peter Pan Prints DK in 50g and the colour I used was Blue Heaven 1346. I do believe that I bought this from John Gregory’s Wool Shop in Msida, Malta but if you’re not in Malta, there are various websites which sell this wool, one of them would be SMD Knitting. For the buttons, I found these gorgeous checked buttons in the exact same colour of the wool I used. I bought these from the haberdashery at JB Stores in Iklin, Malta. I wanted to make something more than a cardigan though so I hunted around for a baby booties pattern and I found this really simple and basic bootie pattern which is knitted on straight needles and is also free for download. Aren’t they just darling? In the meantime, happy knitting and crotcheting fellow crafters!